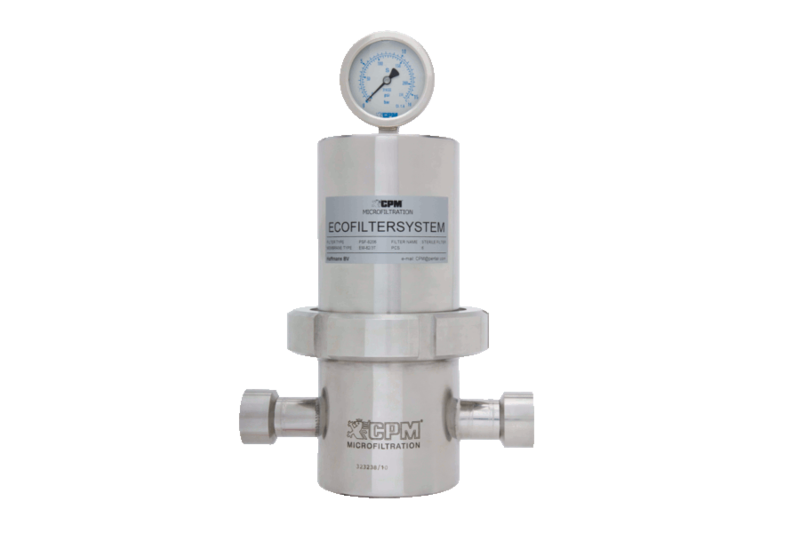 The Haffmans Coalescence Filter CPM - PSMF is a validated submicron filter that removes particles, aerosol and droplets of water and oil from the gas. 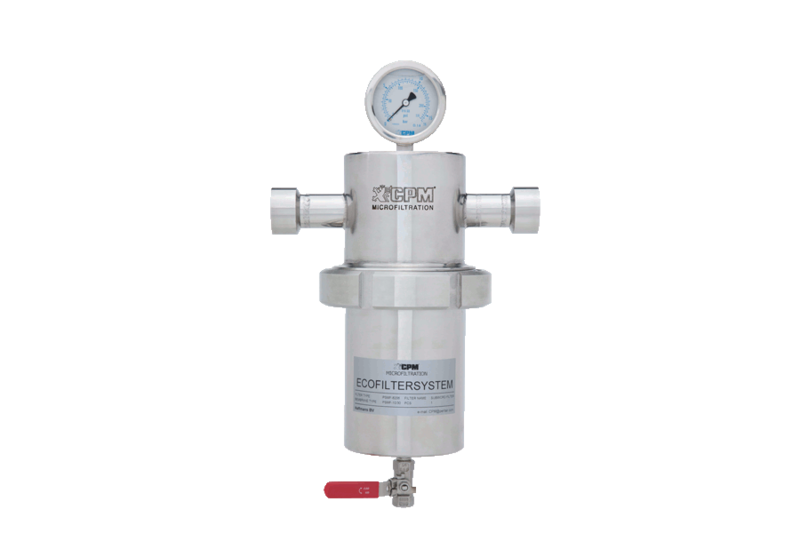 It offers the most advanced pre-treatment of compressed air, CO2 and other gases for food, beverage, biogas and other industries. In combination with our activated carbon filter, type PAK, any residual oil vapor is further reduced. 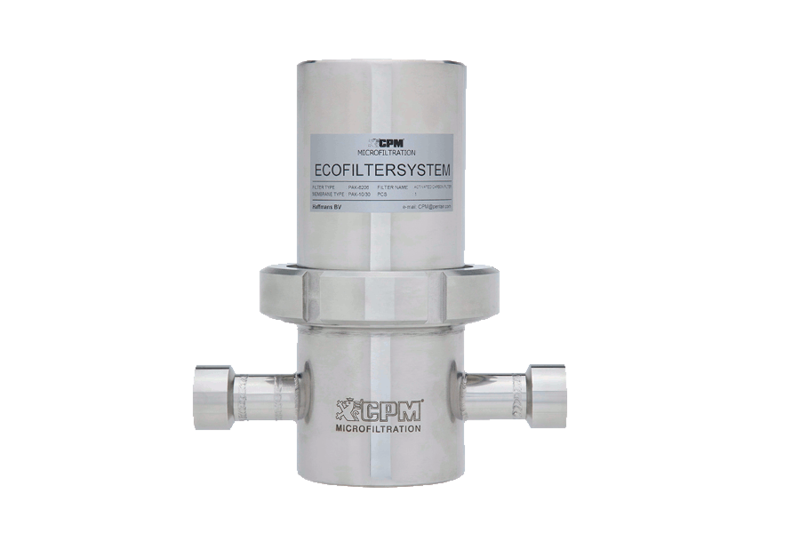 The coalescence filter is installed as a first stage filtration followed by the activated carbon filter as a second stage filtration. Coalescing is the separation of liquid aerosols and droplets from a gas. Using a coalescing filter element in a housing with three ports, the gas passes the filter element from the inside out. The inner layer is a high-efficiency coalescing layer and the outer layer is a coarser drainage layer. The fine liquid aerosols and droplets are captured by the fibers in the inner layer where they run together along the fibers to form larger drops. 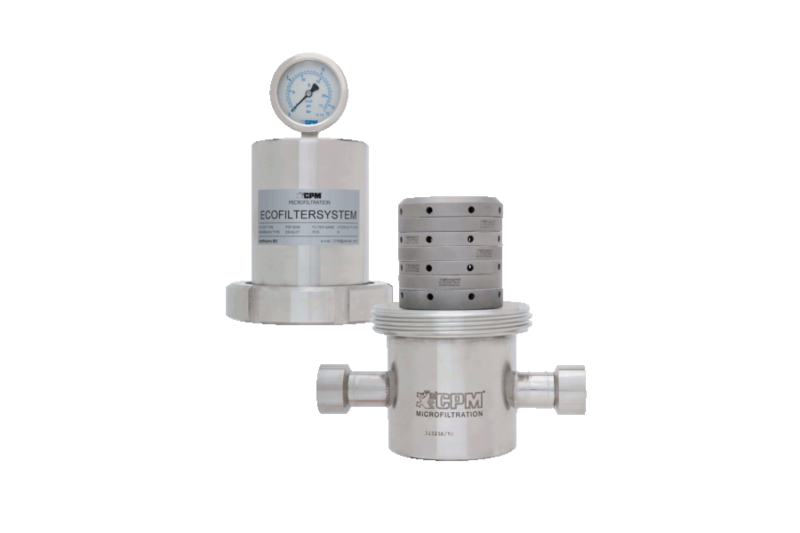 These drops are forced to the outside of the filter element and drain to the bottom of the housing by gravity. The condensate drain at the bottom of the filter element allows for easy removal of the captured liquid. 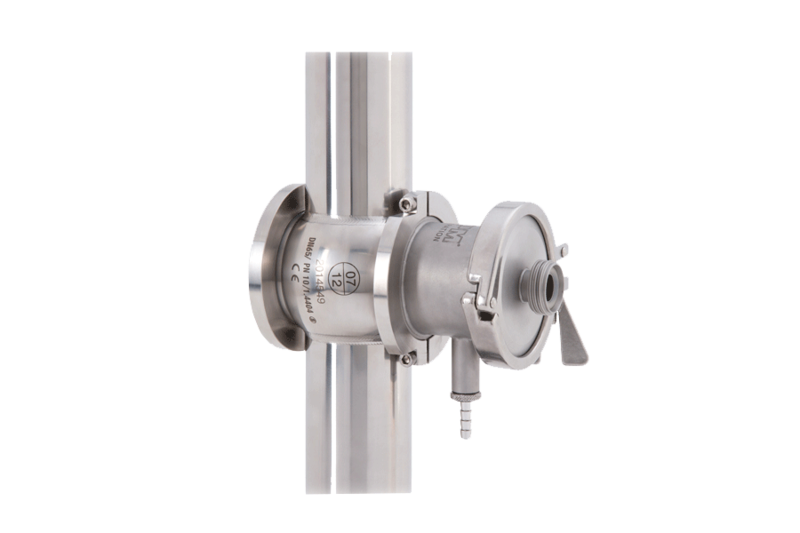 Separation of liquid aerosols and droplets and removal of solid particles from compressed air, CO2 and other gases. Can be used in all industries. Validated adsorption filter for the removal of residual oil vapor with high adsorption capacity.